Saint Joseph's Day, 19 March, the Feast of Saint Joseph is in Western Christianity the principal feast day of Saint Joseph, husband of the Blessed Virgin Mary and legal father of Jesus Christ. It has the rank of a solemnity in the Catholic Church. It is a feast or commemoration in the provinces of the Anglican Communion, and a feast or festival in the Lutheran Church. Saint Joseph's Day is the Patronal Feast day for Poland as well as for Canada, persons named Joseph, Josephine, etc., for religious institutes, schools and parishes bearing his name, and for carpenters. It is also Father's Day in some Catholic countries, mainly Spain, Portugal, and Italy. It is a holiday of obligation for Catholics, unless the particular Episcopal Conference has waived the obligation. The 19th of March was dedicated to Saint Joseph in several Western calendars by the 10th century, and this custom was established in Rome by 1479. Pope Pius V extended its use to the entire Roman Rite by his Apostolic Constitution Quo primum (14 July 1570). Originally a double of the second class and a feast of precept, it was re-raised to be of precept in 1917 after having this status intermittently lost, and consequently also raised to its current rank of double of the first class (now called a solemnity), having become in the meantime the rank common to all remaining general feasts of precept. Since 1969, Episcopal Conferences may, if they wish, transfer it to a date outside Lent. Even if it occurs inside Lent on the usual date of March 19, it is still observed as a Solemnity of a Saint- this is one of the few times during Lent the Gloria may be said or sung, the vesture is changed from the purple or violet of Lent to white or gold (as it would be for such a solemnity normally), the Collect and the Eucharistic Prayer's Preface and other prayers are from the Solemnity and not Lent, the hymns are more joyful, and the Creed is said. However, the Alleluia is still not used, the Tract being used instead, per Lenten regulations. Between 1870 and 1955, an additional feast was celebrated in honor of Saint Joseph as Spouse of the Blessed Virgin Mary and Patron of the Universal Church, the latter title having been given to him by Pope Pius IX. Originally celebrated on the third Sunday after Easter with an octave, after Divino Afflatu of Saint Pius X (see Reform of the Roman Breviary by Pope Pius X), it was moved to the preceding Wednesday (because Wednesday was the day of the week specifically dedicated to St. Joseph, St. John the Baptist and local patrons). 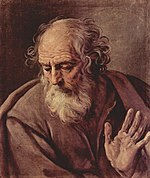 The feast was also retitled The Solemnity of Saint Joseph. This celebration and its accompanying octave were abolished during the modernisation and simplification of rubrics under Pope Pius XII in 1955. At the same time, Pope Pius XII established an additional Feast of "St. Joseph the Worker", to be celebrated on 1 May, in order to coincide with the celebration of International Workers' Day (May Day) in many countries. Until this time, 1 May had been the Feast of the Apostles Saint Philip and James, but that Feast was then moved to the next free day, 11 May (and again to 3 May, in 1969, having become free in the meantime). In the new calendar published in 1969, the Feast of Saint Joseph The Worker, which at one time occupied the highest possible rank in the Church calendar, was reduced to an optional Memorial, the lowest rank for a saint's day. The Eastern Orthodox Church celebrates Saint Joseph on the Sunday after Christmas. If the feast day falls on a Sunday other than Palm Sunday, it is observed on the next available day, usually Monday, March 20, unless another solemnity (e.g., a church's patronal saint) falls on that day. Since 2008, if Saint Joseph's Day falls during Holy Week, it is moved to the closest possible day before 19 March, usually the Saturday before Holy Week. This change was announced by the Congregation for Divine Worship in Notitiae March–April, 2006 (475-476, page 96) in order to avoid occurrences of the feasts of Saint Joseph and the Annunciation both being moved to just after the Easter octave. This decision does not apply to those using the 1962 Missal according to the provisions of Summorum Pontificum; when that missal is used, its particular rubrics, which require the feast to be transferred to the next available date after 19 March, must be observed. In practice, the 1962 rubrics lead to the observance of St. Joseph's Day on the Tuesday following Low Sunday, as the Feast of the Annunciation (which must also be transferred in years when its assigned date, 25 March, falls during either Holy Week or the octave of Easter) is observed on the Monday after Low Sunday. On the Sicilian island of Lipari, the Saint Joseph legend is modified somewhat, and says that sailors returning from the mainland encountered a fierce storm that threatened to sink their boat. They prayed to Saint Joseph for deliverance, and when they were saved, they swore to honor the saint each year on his feast day. The Liparian ritual is somewhat changed, in that meat is allowed at the feast. Some villages like Avola used to burn wood and logs in squares on the day before Saint Joseph, as thanksgiving to the Saint. In Belmonte Mezzagno this is currently still performed every year, while people ritually shout invocations to the Saint in local Sicilian language. This is called "A Vampa di San Giuseppe" (the Saint Joseph's bonfire). Spectacular celebrations are also held in Bagheria. Joseph is even celebrated twice a year, the second time being held especially for people from Bagheria who come back for summer vacation from other parts of Italy or abroad. In Italy, March 19 is also Father's Day. In Malta, the set date for the celebration of Saint Joseph is March 19, but can be moved if necessary to fit into the Lent and Easter season. This has been a day of remembrance in Malta since the 10th century A.D.. Most businesses shut down for this day for all the celebrations that occur. The main celebrations are held in Mdina, which is the “old capital” of Malta in the suburbs of the city of Rabat. There are three main events that occur for this day. One of them being special masses in honor of Saint Joseph. Then it follows with colorful processions with music bands in the streets and fireworks at night. The main procession takes place in the evening with the statue of St. Joseph being carried to the church of Saint Mary of Jesus. The statue represents a high level of workmanship for the figure Joseph had in Jesus' life. Also, this is one of the public holidays in Malta, known as Jum San Ġużepp. People celebrate mass in the morning, and in the afternoon go for a picnic. It is a liturgical feast that occurs on a Sunday in summer. However, the city of Rabat celebrates the traditional Maltese feast where in the evening a procession is also held with the statue of Saint Joseph. On this day also the city of Żejtun celebrates the day, known as Jum il-Kunsill (Zejtun Council's Day), till 2013 was known as Jum iż-Żejtun (Zejtun's Day). During this day a prominent person from Żejtun is given the Żejtun Honour (Ġieħ iż-Żejtun). In the past years the Żejtun Parish Church has celebrated these feast days with a procession with the statue of Saint Joseph. In Spain, Saint Joseph's Day is their version of Father's Day, which is called El Dia del Padre. In some parts of Spain it is celebrated as Falles. They feel that St. Joseph is a good example of what a father figure should be like, which is why they connect these two days. Since Spain does correlate this day with Father's Day, it is tradition for children to cook their fathers breakfast or even give small gifts. It is a "meatless affair", because it occurs during the Lenten season. Some symbols to represent this day include Jesus holding carpenter tools, baby Jesus, and a staff with lilies. A few things to do on this day to celebrate are attending a special church service, visiting different cathedrals, joining Valencia's Falla Festival, and exploring the city, museums and art galleries. The Falla Festival runs for 5 days and ends on March 19 in remembrance of Saint Joseph. In Poland, it is necessary to celebrate Imienien or Namesday, the feast day of one's patron saint; celebrating Saint Joseph's Day is a part of this. Polish families celebrate this day with a Saint Joseph's table in their house that is decorated with red and white for Poland and Saint Joseph. These tables set up in their house include holy cards and candles all around and meatless food in which they call a "festive fast" because it is Lent season. To represent and honor Saint Joseph, Poland has hymns they made. A few of the hymns are Duszo moja, O Jozefie Ukochany, and Szczesliwy, Kto Sobie Patrona. In the Philippines, some families maintain the ritual of holding a banquet for the Holy Family. An old man, a young lady, and a small boy, often chosen from among the poor, are honoured as representations of Saint Joseph, the Blessed Virgin Mary, and the Child Jesus, respectively. The three, sometimes dressed like the santo (traditional saint image) they each represent, are seated around a table set with the family's best silverware and china, and served a variety of courses. Hymns are sung while they are literally spoonfed by senior members of the host family and inportant guests. The Novena to Saint Joseph is also recited at a nearby temporary altar. The hosts and other participants then seek blessings from the “Holy Family” by paying obeisance to the three individuals (or images of the holy personages they represent), either through kissing icons in the hands of the trio or performing mano, all while genuflecting before them. In New Orleans, Louisiana, which was a major port of entry for Sicilian immigrants during the late 19th century, the Feast of Saint Joseph is a citywide event. Both public and private Saint Joseph's altars are traditionally built. The altars are usually open to any visitor who wishes to pay homage. The food is generally distributed to charity after the altar is dismantled. Saint Joseph's altars can be found in churches and public spaces throughout southeast Louisiana during this season. There are also parades in honor of Saint Joseph and the Italian population of New Orleans which are similar to the many marching clubs and truck parades of Mardi Gras and Saint Patrick's Day. Tradition in New Orleans also holds that by burying a small statue of Saint Joseph upside down in the front yard of a house, that house will sell more promptly. In addition to the above traditions, some groups of Mardi Gras Indians stage their last procession of the season on the Sunday nearest to Saint Joseph's Day otherwise known as "Super Sunday," after which their costumes are dismantled. Saint Joseph's Day is also celebrated in other American communities with high proportions of Italians such as New York City; Utica/Rome, NY; Syracuse, NY; Niagara Falls, NY; Rochester, NY; Buffalo, NY; Hawthorne, NJ; Hoboken, NJ; Jersey City, NJ; Kansas City, MO; Chicago, IL Gloucester, Mass. ; and Providence, Rhode Island, where observance (which takes place just after Saint Patrick's Day) often is expressed through "the wearing of the red", i.e., wearing red clothing or accessories similar to the wearing of green on Saint Patrick's Day. Saint Joseph's Day tables may also be found in Rockford and Elmwood Park, Illinois. Saint Joseph's Day is also the day when the swallows are traditionally believed to return to Mission San Juan Capistrano after having flown south for the winter. ^ "Feast of St Joseph 2018 and 2019 — Public Holidays Malta". Public Holidays Malta. Retrieved 2017-05-08. ^ "St Joseph's Day 2018 and 2019 — Public Holidays Spain". Public Holidays Spain. Retrieved 2017-05-08. ^ Gunkel, Ann/David. "Polish Easter Traditions * St. Joseph's Day/Dzien Sw. Jozefa, March 19". annhetzelgunkel.com. Retrieved 2017-05-04. ^ "Feast of San Jose: Traditions, rituals and gastronomy". Flavours of Iloilo. March 19, 2014. Retrieved March 19, 2019. ^ "St. Joseph's Day Altars". neworleansonline.com. ^ "Mardi Gras Indians Super Sunday around St. Joseph's Day". mardigrasneworleans.com. ^ Barbara Rolek. "St. Joseph's Day in Poland - How St. Joseph's Day Is Celebrated in Poland - Dzien Swietego Jozefa". About.com Food. ^ "Signature Events - Mission San Juan Capistrano". missionsjc.com. Archived from the original on 2013-03-11. Wikimedia Commons has media related to Saint Joseph's Day. This page was last edited on 22 March 2019, at 19:55 (UTC).